I'm maik from germany and I have a problem with my CBR 1000F. Does anyone have an idea where the rattling-noise might come from ? The video was taken directly after the coldstart. When the motor is warm the noise is still there (but not as loud). When I first realized the noise there was a rattling sound until 3000 rpm. Mainly when I turned the throttle. Now I can hear the rattling until 3500 rpm. At 4000 and above theres no rattling anymore. The mileage of the motor is only 23 000 km. I thought that the CCT was broken and replaced it today. But theres no difference hearable. It stil rattles. Maybe it takes some time to fill the oil-chamber of the CCT ? And can somebody tell my why so many CCT don't work anymore and is there a solution (except replacing it). Maybe someone can help me. What do you think ? 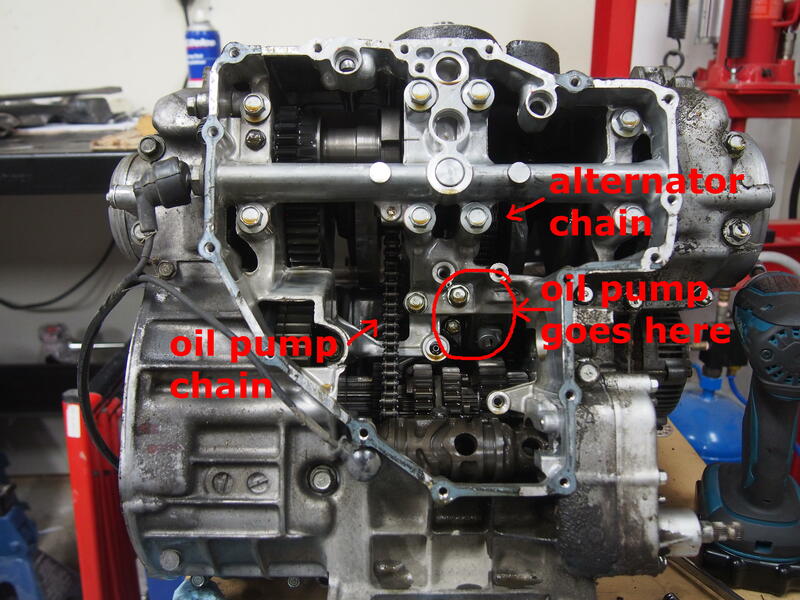 I think maybe it's the oil pump chain tensioner or the alternator chain tensioner. 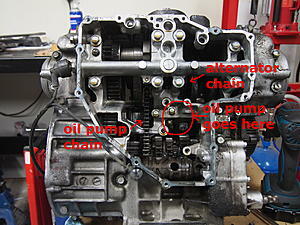 Would appear to be coming from the sump area, so I would suspect the oil pump chain. ...as a follow up, but doubt this is your problem, and that is to tension up the balancer shaft as if it was not particulary engaged it too can cause engine to rattle, but on a bike such as yours with low kms, I doubt it is the prob, but any easy peesy thing to do before a major overhaul. '04 CBR 600 F4i Rattling Sound?